Share to win a trip for two! Share to win a trip to Rubio’s CoastFest on July 18! Includes roundtrip airfare for two, two nights at a beachfront hotel, VIP access and exclusive swag. 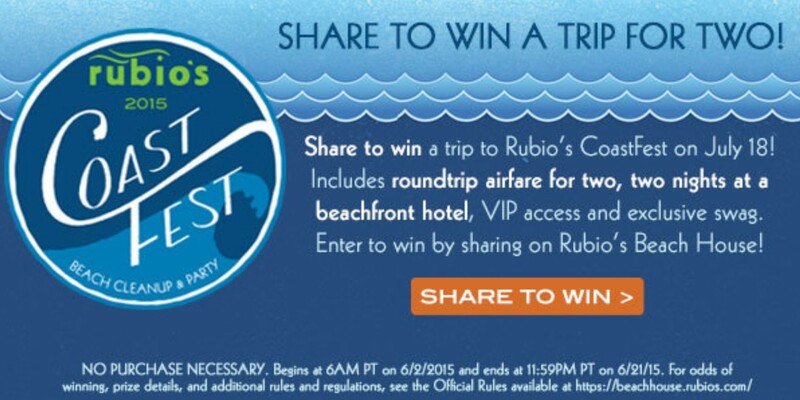 Enter to win by sharing on Rubio’s Beach House!